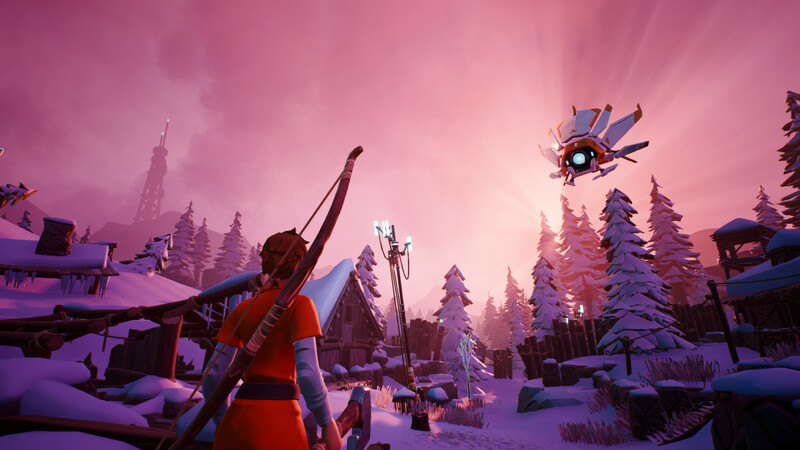 Battle royale game Darwin Project is going free to play on Steam. Until now, the game has been a paid Steam Early Access title. Players have been complaining about long queue times for matches, so indie developers Scavengers Studio has opted to make the game free to play in a bid to increase the player base. Scavengers Studios assured gamers that items purchasable with real cash will not provide any competitive advantage. Those who have purchased the game will not be left out in the cold. On April 24th, buyers will receive a founders pack containing 2 Legendary sets, 3 Legendary Axes, 3 Legendary Bows, a full jumpsuit collection, and 5 Fan Gifts as thanks for their early monetary support. No word as of yet if or when the Xbox One version of the game will go free to play. Darwin Project throws ten players into the Canadian Rockies in a battle to the death game show controlled by a human Show Director. Players will have to survive the Show Director’s evil tricks while tracking down the other competitors using environmental cues. The entire show is streamed live on the internet, with viewers able to bet on the results or cast their vote to support or smite a player.